A group of musicians from countries along the Nile River are banded together to collaborate across culture, language, and musical tradition to raise awareness about Africa’s growing water issue: This is The Nile Project. As they journey to United States to kick off their 2017 tour, they struggle to work through their differences and find common ground on a 100-day tour that takes them across a divided America during Trump’s first 100 days. Will the power of music transcend? Far from the Nile is a verité journey following a group of African musicians on a three-month tour of the American heartland. They speak different languages, come from different countries, are trained in different musical styles and traditions, and have never worked together before. They are participants in The Nile Project, a musical collective raising awareness around the contentious issue of water scarcity in Africa and the need to peacefully and equitably administer the resources of a single river. 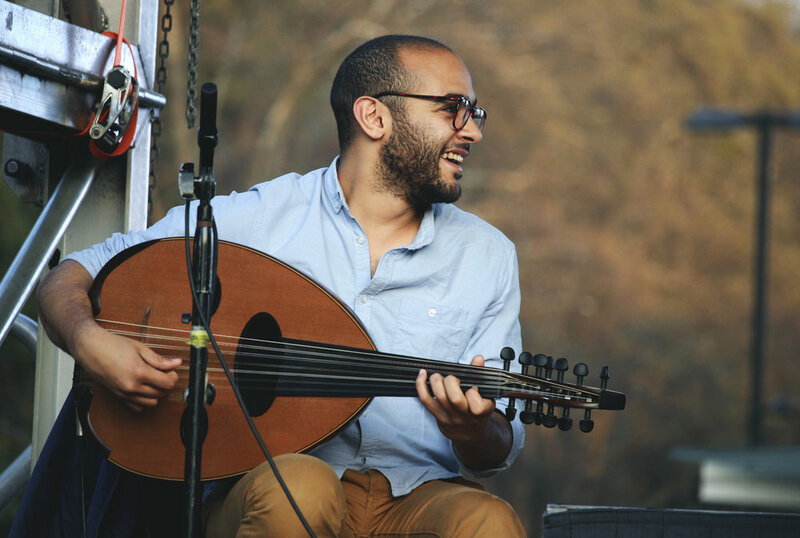 The Nile Project is cross-cultural initiative bringing together musicians from the Nile countries to perform along the river and around the world. The iconic Nile River has captured the imagination of people since the beginning of time. Eleven countries in Africa share this “thin blue vein of geographical fate,” and its 450 million inhabitants are projected to double in the next 25 years, putting increasing pressure on an already fragile ecosystem, and the source of increasing political, social, and environmental conflicts. The Nile Project annually assembles musicians from the Nile Basin, employing music as a common language and a means of engaging audiences up and down the river, to inform them of the need to care for the Nile, the shared resource that is vital to the collective future of Africa. The musicians we follow in Far from the Nile are from Egypt, Eritrea, Ethiopia, Sudan, Kenya, Burundi, and Uganda. For most of them, it’s their first time in the United States, and coincidentally they arrived just two days before President Trump issued the first travel ban. For 100 days they room, ride, practice and perform with one another, becoming a family in the process. The journey takes them across a vast, varied and strikingly beautiful swath of middle-America, traveling through 19 states, touching both coasts and many lives along the way. Filmmaker Sherief Elkatsha follows the group’s travels – their adventures and mishaps, their amazement, hilarity, exasperation, and bewilderment as they discover America. The film captures both intimate moments and public performances that convey the transformative effect of the Nile’s music on both their audiences and each other. the american vicarious is a not-for-profit generator of creative content across disciplinary boundaries that aspires to reflect on America’s ideals and realities, and that which unites and divides its people. *** More photos can be seen at “United States of Africa” by Laila Yasser.